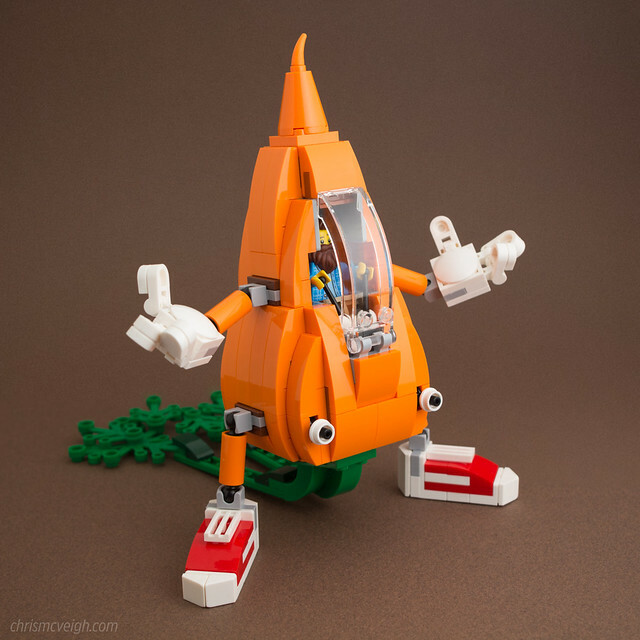 Your carrot munchin' days are numbered thanks to the carrot mech by powerpig! Chris says in the description that he can't explain it, but it's purpose is clear, vengeance! For too long carrots have suffered at the self-absorbed, nibbling maws of bunnies and that ends now!